The Lok Sabha election season is on. Political leaders are campaigning tirelessly, notwithstanding the blistering heat. But sadly, the campaign narrative is largely based on caste and religion, most often personal and nasty (Mandya is a nearby example), while the citizens expect leaders to maintain decorum and confine themselves to serious issues. One wonders whether the candidates are really familiar with their party manifestos. Manifesto-based campaigning is something our politicians have not learnt to practice. Against this unfortunate reality, an attempt is made to examine the promises made by the Congress and the BJP in their manifestos. Congress president Rahul Gandhi released the party manifesto recently, drafted by the party’s think-tank with inputs from a cross section of citizens. 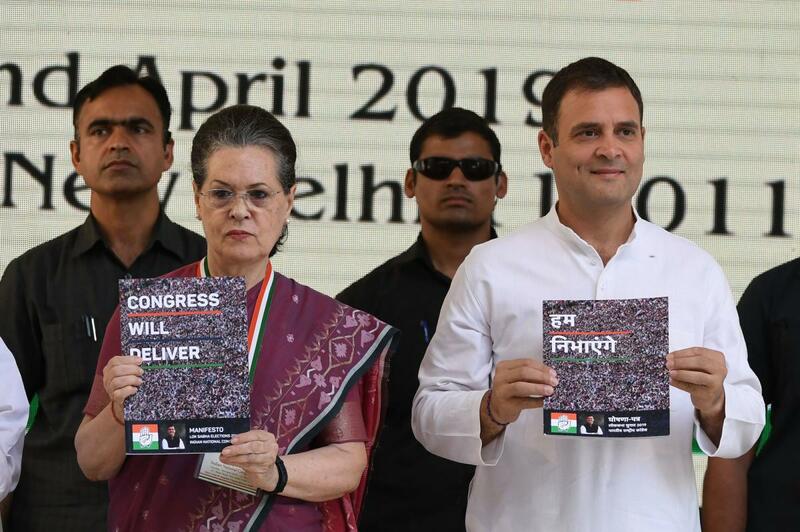 Titled ‘We will deliver’, the manifesto makes a string of promises to voters. Significant among them is the promise to transfer, under the NYAY scheme, Rs 72,000 annually to the bank accounts of the poorest 20% households in the country as income guarantee, which will cost a whopping Rs 1.36 lakh crore annually. Financial experts, including former RBI Governor Raghuram Rajan, were consulted in drawing up this scheme with an eye on rural votes. This would be in addition to the MGNREGA, which would be extended to 150 days in a year. Questions are being raised as to where the money to implement the scheme will come from. But the party leadership is not forthcoming on this vital aspect. The challenge will be to identify that the same persons do not become beneficiaries of multiple largesse to the exclusion of the needy. This, along with the proposed healthcare and housing schemes for the poor, are the significant aspects of the Congress manifesto. The idea of a separate budget for farmers, along with the promise of treating farm loan default as civil offence are sops offered to farmers. Job creation is a priority in the Congress manifesto. A Ministry of Employment with a promise to create 10 million jobs in villages is promised. Job creation is a complex task as migration from rural to urban areas is increasing, coupled with a desire on the part of the youth to look for secure jobs. To remedy the situation, the manifesto assures support to MSMEs and support to entrepreneurs. As regards education, the much-talked about plan to spend 6% of GDP on education, an old promise, 2% on R&D and 3% on healthcare by 2023-24 are reassuring. The party commits to passing the 33% women’s reservation bill in parliament if voted to power. The inclusive narrative of the party is clearly evident in the manifesto. Talking of amending the Armed Forces Special Powers Act and repealing the Sedition Law are bold promises but may not be politically wise as it has, according to some senior Congressmen, given Narendra Modi yet another chance to criticise the party as anti-national during his campaign speeches. They feel it may hurt the party in the elections. The BJP released its manifesto just three days before the first phase of polling, clearly showing the lack of any seriousness attached to it. At the release function, Modi talked of good governance. The party skipped talking about “sab ka vikas”, in view of its failure to implement many aspects of its 2014 manifesto, especially job creation, and the negative impact of demonetisation on the economy. The BJP manifesto is anchored in nationalism, national security and terrorism narrative. The focus is to construct the Ram Mandir as soon as possible. By pandering to the Hindutva vote base and promising to enact a Uniform Civil Code, the party aims to consolidate Hindu votes. That it undercuts the egalitarian and secular fabric of the country does not stir the conscience of BJP leaders. Post-Balakot airstrike and in pursuit of its talk of zero tolerance to terrorism, the manifesto accords priority to the modernisation of the armed forces and the police. The party also sticks to its goal to abrogate Article 370 to do away with special status to Jammu and Kashmir, together with the repeal of Article 35A. The move will exacerbate the separatist struggle underway in the Valley. The BJP manifesto also talks of effective steps to prevent illegal immigration affecting local people’s livelihood and employment and to complete the NRC process on priority, together with the promise of enacting the Citizenship Amendment Bill, again with an eye on the elections. Farmers have come to occupy a place in the BJP manifesto, with the promise of extending the Rs 6,000 a year income support to all farmers. A pension scheme for small and marginal farmers to provide social security to them on reaching 60 years of age has also been promised. This seems to be the party’s counter to the Congress’ NYAY scheme. Infrastructure development is emphasised upon, with a promise to construct 60,000 km of national highways in the next five years, with an outlay of Rs 100 lakh crore. Employment generation is an area where the Modi government failed in the last five years. The manifesto has no convincing plans in this regard, though it talks of creating 20 million jobs. In sum, it is apparent that while there are certain aspects in the BJP manifesto pointing to its development agenda, the thrust is on nationalism and national security and understandably so as the party hopes to ride back to power on the basis of the latter. Both parties have indulged in competitive populism to attract voters, unmindful of the financial costs involved in their implementation.